Whether it’s a work party or a gathering of friends and family, you want to look your best this holiday season. 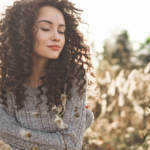 While your primary focus may be on what you’re going to wear, you also need to think about quality hair care, such as using a sulfate free shampoo and conditioner. 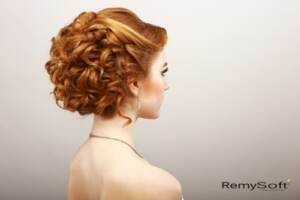 With the right hair products for remy hair, you will be able to create these stunning hair styles for your holiday party. Quality hair care will keep your holiday ‘do looking great. For many women, it’s all about putting your hair up, but this can often create a more severe look than you want for the festivities. To help soften the look, leave some strands of hair loose around your face. 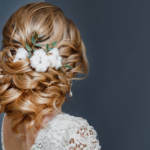 Twisting your hair back into a low bun or even a French knot, while leaving wisps of slightly curled hair framing your face, can give you a look everyone will admire, even more than the stunning dress you chose. 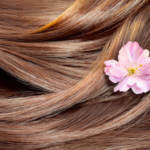 Sulfate free shampoo and conditioner will ensure the perfect hair style. If you prefer to leave your hair down, you’ll need to make sure you’re using a sulfate free shampoo and conditioner to keep your hair looking fantastic. To help finish this look, consider creating a side part close to one side and sweeping your hair off to one side. With some waves or curls, you will have a stellar style that works well with just about any holiday outfit, whether fancy or casual. Hair products for remy hair can help you tease it up. Big hair isn’t just for the 80s any longer! If you want a fun new look for your holiday party, consider teasing your hair high. Sweep the front and sides of your hair toward the back of your head, securing them with a hair clip near the back of your head. Before you place your barrette or other clip of choice, push the hair slightly forward to create a bump everyone will be sure to notice and carefully secure it in place, leaving the rest of your hair loose. A bow is the perfect complement to quality hair care. Nothing says holiday celebrations like a nice bow. However, ribbons and bows don’t have to be restricted to the pile of presents under the tree. If you want a slightly more casual look, pull your hair back into a loose, low ponytail and secure it with a matching bow. Want to dress it up a bit? Choose a lace or velvet bow to lend an elegant air to your hair style instead. Quality hair care is an absolute must if you want to look your best at this year’s holiday parties. Before you start creating stunning hair styles that are destined to impress, make sure you have the right hair products for remy hair on hand. If you’re looking for the best products to care for your hair, contact us. RemySoft Solutions carries a full line of products designed to keep your hair healthy and luxurious so you always look your best.